Kitchen remodeling projects are often pushed off to the last possible minute because of the disruption it creates in daily life. The professional contractors at Cricket Creek work hard to minimize the disruption, as well as the mess. Renovation is messy business, but we do what we can to maintain a clean workspace and respect your family’s schedule. 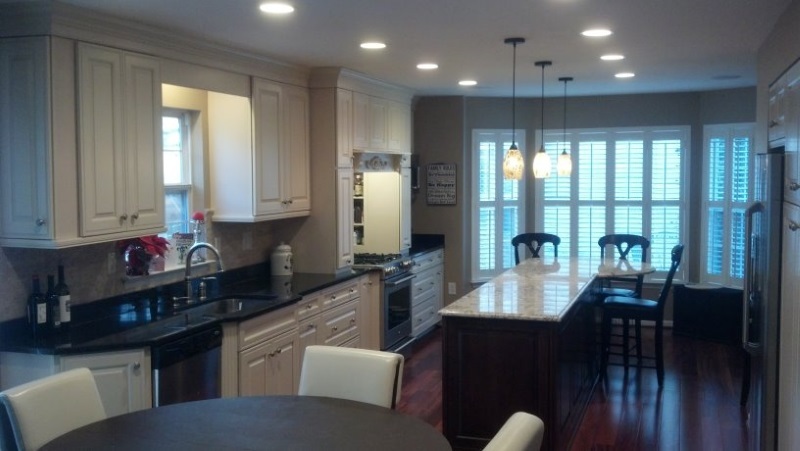 We understand that the kitchen is often the focal point of the home. Many events from dinner to family game night, to cooking and enjoying time with friends, make the kitchen the central gathering spot. Each family is different and has different needs regarding the design and layout of the kitchen. Whether you need more storage space, or an entirely new design, we will help you create the fabulous kitchen your family deserves. Tell us what you want. We’ll help design your new kitchen based on your desires. We will present options and help spark ideas during the design process. Choose materials and appliances. We’ll help pick out materials and appliances that work well together to give the overall look you want. We will help get you the best price possible. Deconstruction begins. We’ll schedule a date to begin the deconstruction of your existing kitchen. We will be very mindful of the disruption and mess, cleaning as often as needed to protect your home. Kitchen remodeling begins. You will, of course, be able to watch the process if you wish. It’s very interesting to watch your old kitchen transform into something fabulous. The project is finished. Your outdated kitchen has been turned into the kitchen you’ve always wanted.